Cold air intake systems aren't created equal and savvy customers know it. This is why Volant Intakes are so popular with customers who know their air intakes. 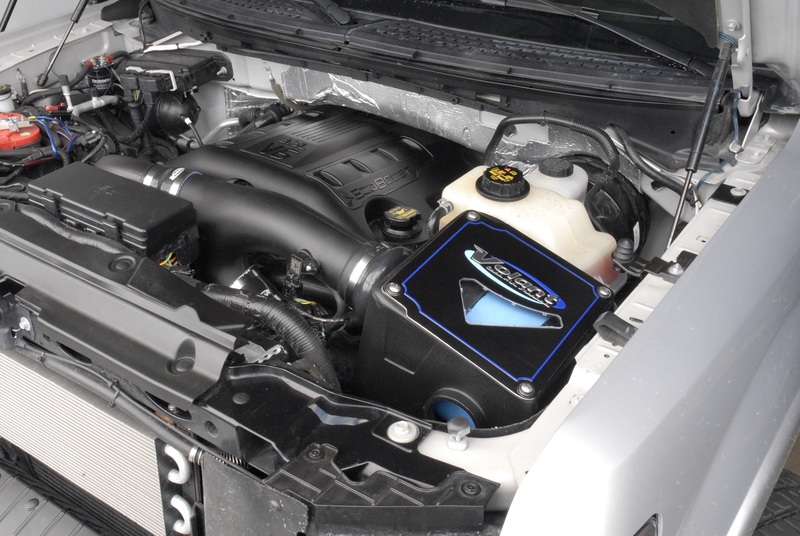 What makes Volant Cold Air Intakes different? First, Volant eliminates your restrictive factory airbox, filter, and intake tube. In its place goes the Volant Power Box. This box houses a high flow Volant PowerCore Air Filter that is dry and maintenance free for 100,000 miles. This revolutionary air filter does not require any oiling and offers superior filtration. The superior design of the Volant Intake Box protects the filter and ensures that colder air is pulled in from the fender instead of the engine bay, resulting in more horsepower and torque. Being an enclosed system, it keeps your engine quiet at cruising speeds, but allows it to still roar to life when you stomp the gas. The part number for this item is 194356 and it fits 2012-2014 Ford F150 3.5 EcoBoost models.